The island of Vaxholm is a leisurely boat ride from the city of Stockholm and makes for a lovely day trip with it's brightly coloured houses, picturesque harbour and quant waterside restaurants. 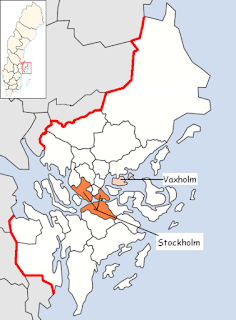 There are two shipping routes through the archipelago which sits between the city of Stockholm and the open sea. Of these, the channel that runs between Vaxholm and Rindo is the most important and it is not surprising therefore, that Gustav Vasa chose to build a fortress on this spot in the 16th Century. Prior to the 19th Century Stockholm sat in the middle of a Swedish empire which incorporated what is now Finland along with Latvia and Estonia. 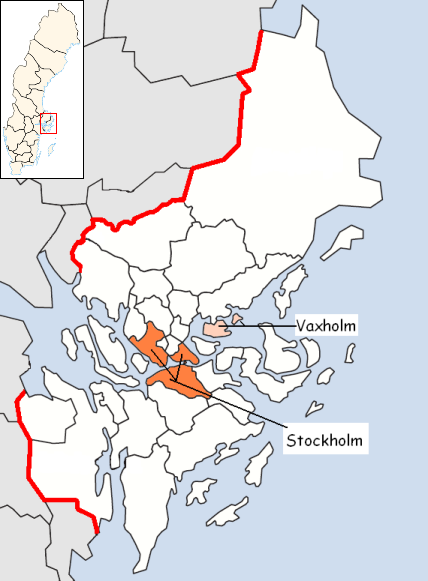 More recently Vaxholm's strategic importance has been sharpened because, in the context of 19th Century Sweden, Stockholm faced directly into territory controlled by potential enemies - in particular Russia and Denmark. 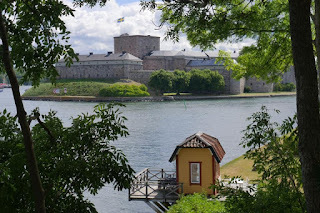 The islet on which the modern day fortress was first used for military purposes in 1548 when part of the Oksdupet channel was blocked in order to force shipping into the narrow passage past Vaxholm. In Vasa's era considerable improvements were made, including the construction of a three storey tower. The fortress first proved its' value in 1598 when a Polish fleet was stopped by the guns deployed on the islet's ramparts. Similarly, a Danish fleet was sent packing fourteen years later in 1612. Just over 100 years later a Russian fleet was repulsed by the island's garrison of 400 men serving 80 guns. 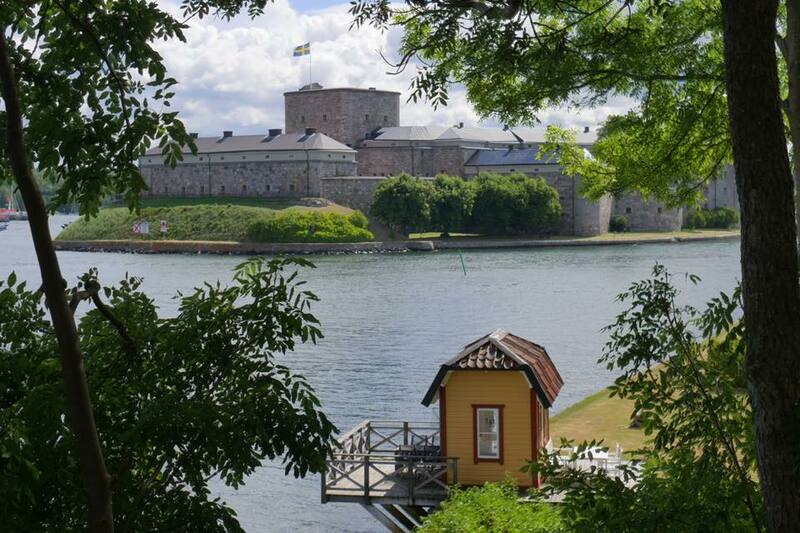 Following the Finnish War of 1808-9 between Sweden and Russia further improvements were made to the fortress at Vaxholm and during the period 1833-63 the citadel was completely rebuilt. Two metre thick walls were lined with granite blocks and the fortress was armed with 150 230mm guns served by a garrison of 1038 artillerymen. Through the ensuing one hundred years or so various improvements were made to the Vaxholm defences. During the World Wars the fort saw no action although in the early 1940s Polish submarine crews were imprisoned in the citadel. 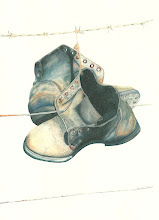 The cold war brought further developments including a post WW2 upgrade of the batteries. In the year 2000 the island's defences were decommissioned and the citadel was fully opened as the Fastnings Museum which was extended and improved in 2003 - home to a fascinating array of exhibits illustrating the history of Sweden's coastal defences. The islet on which the fortress sits is accessed via a chain ferry which runs back and forth to the nearby island harbour. It is possible to walk right around the island and well worth doing so as many of the later defences are still intact including the last iteration of the main battery. The museum is superb and will easily soak up a couple of hours. Finally there is an cafe in the inner courtyard where al-fresco diners can enjoy a lunch sitting amongst decommissioned sea mines of all shapes and sizes. For a taste of Vaxholm's beautiful water front click here.